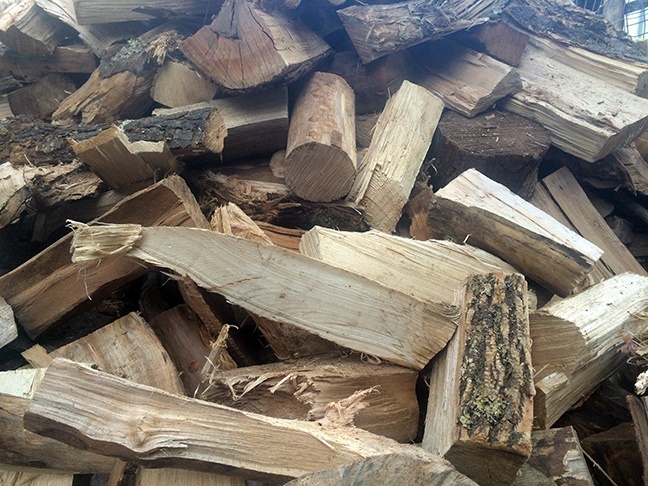 NEW – GREEN FIREWOOD (Unseasoned). SAVE MONEY BY BUYING FIREWOOD FOR NEXT YEAR AND SEASON IT YOURSELF! ONLY $195/1 cord – $350/2 cords! NEW – LARGE TARPS. Buy a tarp to cover your cordwood and keep it dry. We now carry 2 types of tarps! Normal delivery times are about 1-2 weeks upon confirmation of your order and scheduling. We are not able to accommodate requests for “next day” or immediate deliveries. 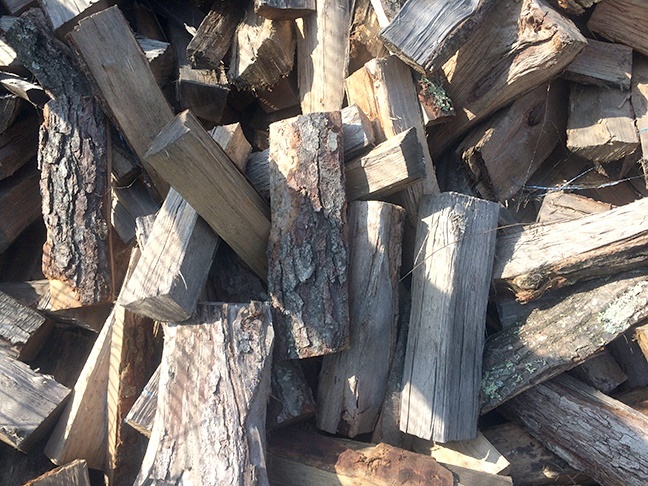 Concerning 1/2 cord orders of wood: You may split a full cordwood order with a neighbor, but it is inefficient for us to deliver a 1/2 cordwood order unless there are several people ordering within close proximity to each other. That is why our pricing is configured for full cordwood orders. We always bring you a “little more” than a cord so you are never shortchanged. Deliveries must be accessible by dump truck to an area you specify. You are responsible for stacking the firewood. With dump truck delivery, there will always be bark or fragments breaking off some of the firewood. We offer very large tarps if you would like to add one to your order to cover your firewood. Order below. 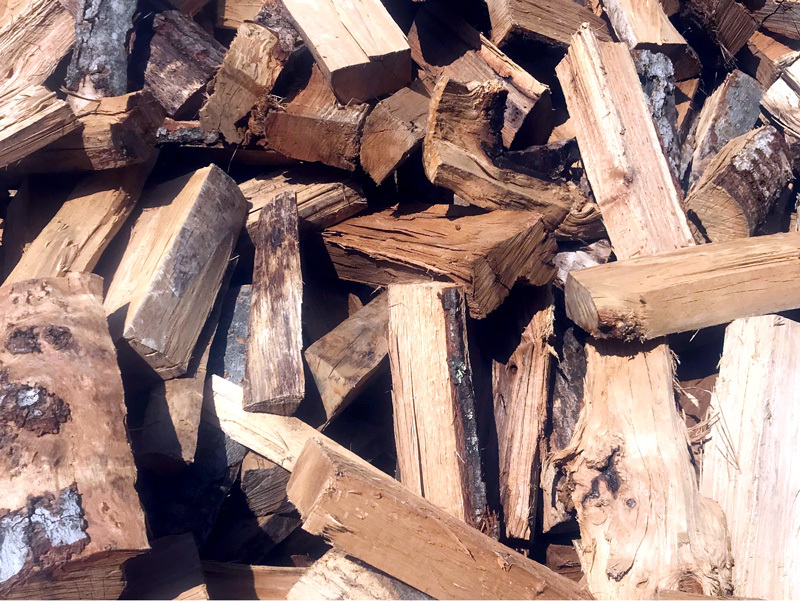 PLEASE NOTE: The primary business of West End Firewood is to manufacturer “Packaged Firewood” for wholesale and retail businesses. Cordwood delivery is secondary. We offer it to our customers who love the “Hearth Warmer” packaged firewood found in stores. 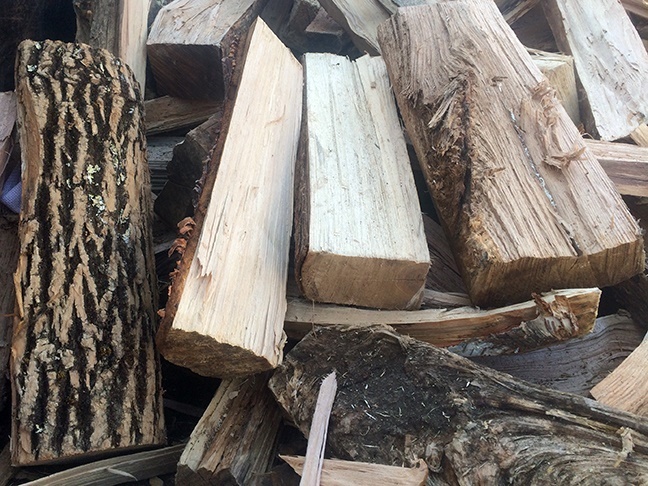 Year-round we package firewood for Campgrounds and retail businesses. During our busy months’ of packaging, we begin to get many inquiries for Cordwood deliveries, especially early Fall. As the weather starts to get cooler, orders for cordwood increase dramatically causing a backload for our loader and driver. We ask that you be patient while we process, schedule and load your delivery. We try whenever possible to combine orders that are delivered relatively close to each other. We do that to reduce the time and any delivery costs to you. Our best advice if you are a consistent buyer of cordwood each year is to plan ahead and order early. NEW! - Green Firewood is mixed hardwood that we receive as fresh tree length logs. These come to us directly from foresters. Instead of seasoning for a year, we are making this hardwood available for you to season, thereby saving you money. We cut and split the logs into lengths around 16". These are similar hardwood pieces in our Hearth Warmer packaged firewood product but ARE NOT seasoned. SAVE MONEY by purchasing Green Firewood for next season. ODD & END pieces are mixed hardwood types, seasoned, and kiln dried. Lengths vary and are inconsistent. WE DO NOT CLASSIFY THIS AS CORDWOOD as it contains fragmented pieces, short, long, limb, thick, thin, uneven cuts, or unsplit logs. Variety is the spice of life here. 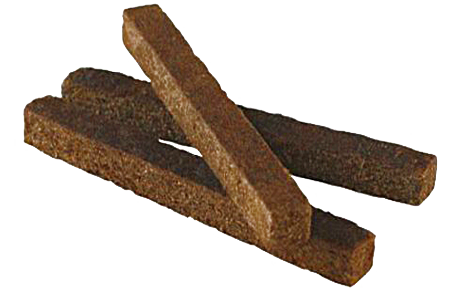 By our definition, these are defective pieces that did not make the "cut" to be included in our Hearth Warmer Packaged Firewood. If you are looking for consistent "cordwood" length firewood pieces, please choose our other cordwood types. AIR DRIED wood has more consistent lengths around 16". It is seasoned and left in the outdoors covered to air dry. There is more moisture content in air dried wood than kiln dried wood. Mixed hard wood types. KILN DRIED is the same as air dried but put through a kiln to dry and remove rainwater, snow, ice, and kill all insects. Seasoned hard wood. Low moisture content. Mixed hard wood types. Lengths are around 16". Thicknesses vary. These are the same hand-selected hardwood pieces in our retail packaged Hearth Warmer firewood product. It's the BEST you can get in kiln dried firewood, in bulk form. FIRESTARTER STICKS are the best hassle-free way to start a fire. Simply break in half and light the broken ends and place under kindling wood. They burn slow for many minutes giving your kindling time to establish a continuous burn. How do we know? We have tested many firestarters and determined these are excellent. We personally use them. 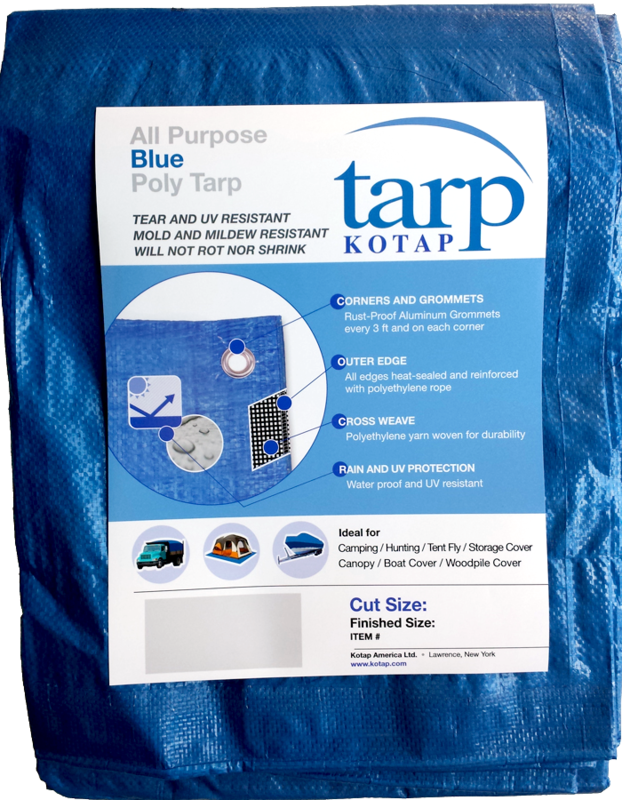 Approximate size of sticks are 5.25" x .5" x .625"
General Purpose Kotap Tarp Blue, light-weight, all purpose (5-mil), 20' x 40' tarpaulins are ideal for covers of wood piles, or almost anything that needs protection from the weather. Kotap tarps are made of woven and coated polyethylene that is tear and UV resistant. They are also mold and mildew resistant and will not rot or shrink. 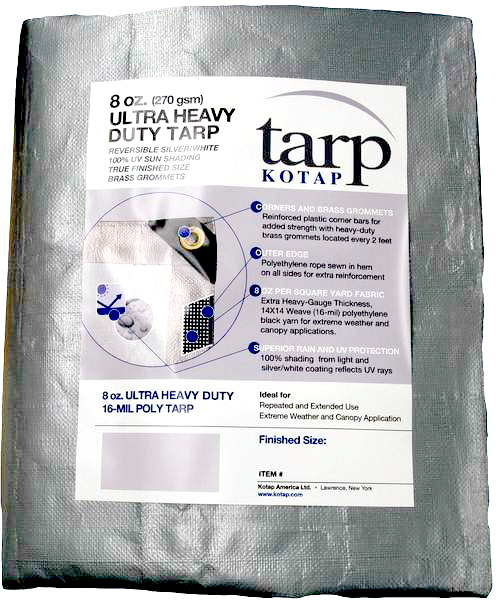 Ultra-Heavy weight Purpose Kotap Tarp Gray-Green, Ultra Heavy Duty, Heavy Weight, (16-mil), 20' x 40' tarpaulins are perfect for covers of wood piles, or almost anything that needs protection from the weather. Kotap tarps are made of woven and coated polyethylene that is tear and UV resistant. They are also mold and mildew resistant and will not rot or shrink. We think they are wicked awesome!. What type of Cord Wood would you like to order? Enter QTY below (you can choose more than 1 type). Where did you hear about West End Firewood?